An extremely gentle cleansing gelcream that can either be rinsed off or gently removed with tissue or The Sponge Cloth. Helps combat skin sensitivity caused by exposure to pollution, harsh climate, stress, hormonal imbalance, irritating cosmetic products and other environmental influences. 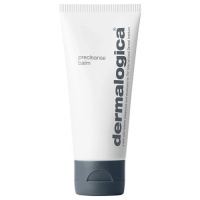 Following the application of PreCleanse, apply to the face and throat, gently massaging with fingertips with light, upward strokes. Rinse thoroughly with warm water or remove with dry cotton pads. Follow with Soothing Protection Spray and Barrier Repair. May be removed with tissue or The Sponge Cloth, making it ideal for skin conditions too sensitized even for water. Successfully removes eye and lip make-up. Gentle, non-foaming cleanser glides easily over skin to help minimize agitation. Lavender helps soothe, Coneflower helps calm, and Cucumber helps cool irritation. May be removed with tissue, making it ideal for skin too sensitized for water. Boerhavia Diffus (Red Hogweed) Root Extract targets neurogenic inflammation, restores tissue integrity and soothes to restore skin's normal sensitivity level. Exactly what I wanted considerably cheaper than some places. Panicked slightly afterwards after reading reviews for company, BUT, I messaged them after a few days for an update which Sophie very promptly replied to, & it arrived the following day. All in all I'm very pleased, & would definitely recommend as it's a great cleanser prior to applying eyelash extensions. Will buy again from logical beauty. 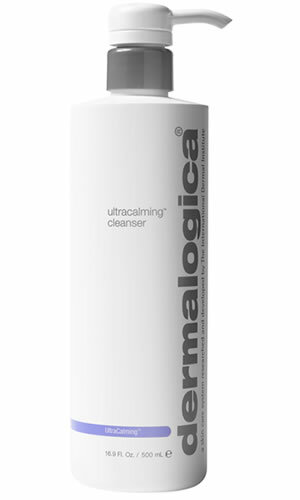 I have used this Ultra Calming Cleanser for quite a few years. It is calming and even good for the eye areas. Arrived quickly. Well packaged with samples.